Funtoon's World HD Free for Apple TV by YASH FUTURE TECH SOLUTIONS PVT. 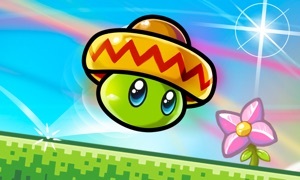 LTD.
Funtoon's World is amazing adventurous game with 25 Levels. Get Ready to enter Funtoon's World with amazing Excitement in each Level. Get Ready to face different monsters and earn as much coins as you can to get highest score. -Full HD Graphics used in the Game. -8 Different Characters available in the Game. -Different Powers used in the Game. -Game is Addictive in nature. 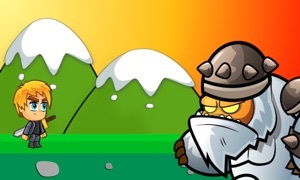 -Collect Coins and save yourself from monsters to get best score. -Record & share your Gameplay videos with your friends through Everyplay. -Fully Tested on iPhone 4,4s,5,5s,5c,6,6 Plus & iPad (All). Note: Free Version gives you access to One Level in each stage. You can also unlock various different characters through in-app purchase or coins earned in the game.